An Australian athlete who has competed in six Paralympic Games has been robbed at gunpoint in the Brazilian city of Rio de Janeiro. Liesl Tesch said a man brandishing a gun pushed her off her bicycle and stole it on Sunday. Australian Paralympic team physiotherapist Sarah Ross also lost her bicycle in the attack. 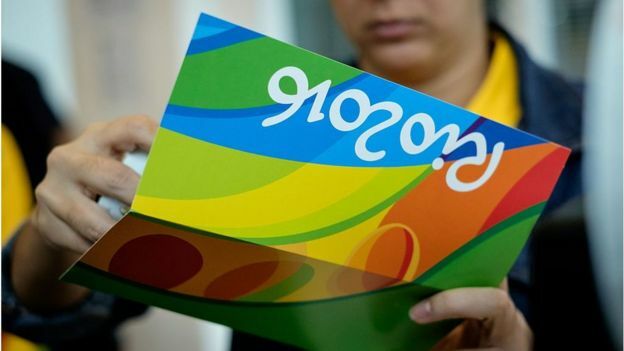 The Australian Olympic Committee has said Rio must improve security in the city in the aftermath of the robbery. Chef de Mission Kitty Chiller said: “We’re demanding that the level of security forces, which number about 100,000, is reviewed and also we are also asking that they are deployed earlier prior to Games time, especially around training and competition venues. Tesch, who has won medals in wheelchair basketball and sailing, said athletes needed to be on their guard. The 47-year-old, who described the incident as “absolutely horrific”, said the two men who robbed her and Ms Ross initially demanded money. When Tesch she told the gunman that she didn’t have any money, “he just pushed me on the shoulder with his bare hand and I just fell down on the cobblestones,” she told Australia’s Seven Network. The two women were training near Flamengo Beach. Tesch said several people saw the incident but no-one came to their aid. Brazilian authorities insist that the Olympic and Paralympic Games in August will be safe for athletes and tourists, with 85,000 soldiers and police officers deployed in Rio. But recent reports have indicated an upswing in crime. Three members of the Spanish Olympics sailing team wererobbed at gunpointwhile walking through the city in May. Rio State Security Secretary José Beltrametold the Washington Postthat a recession and police funding problem had contributed to the issue. Mr Beltrame said the funding issues were being solved and insisted that Rio was ready to host the Olympics. Concerns over the Zika virus have also weighed heavily on Rio’s Olympic preparations, butauthorities insist proper precautionsare in place.